The U.S. and its allies have been successful in hiding the basis on which Russian diplomats were expelled from their countries — expelled on still-undocumented accusations that Russia’s Government was behind the poisoning of Sergei and Yulia Skripal in Salisbury England on March 4th. 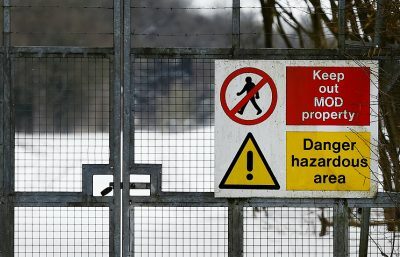 On Wednesday April 4th, the Executive Council of the Organization for the Prohibition of Chemical Weapons (OPCW) said no to Russia’s proposal for an OPCW investigation into the source of the toxin that was used in the attack. 14 of the 41 OPCW countries endorsed an investigtion; 9 abstained; 17 opposed; 1 absented. The issue decided by the vote is that the expulsions of Russia’s representatives to U.S.-allied countries must stand on the basis merely of the UK Government’s allegations of Russia’s guilt, without any evidence being provided to back them up. Essentially, what was at stake in this vote is whether the public, in each of these countries, should believe Russia’s guilt without being provided any evidence that Russia is guilty. This decision by the OPCW Executive Council is yes to that. This means that any wars that might start or increase on account of those allegations are to be considered ‘justified’ by the residents in at least the U.S.-allied nations, because those nations’ Governments say so, and because they have the power to block an OPCW examination of whatever evidence that exists regarding this matter. Similarly, on 20 March 2003, the U.S. and a few allies invaded and destroyed Iraq on the basis of secret ‘evidence’, which the public, in these ‘democracies’, was never permitted to see, but which ‘evidence’ now is known to have been concocted. Many instances exist in which wars have begun on the basis of attacks that were done by the Nazis, or by the U.S., or by other fascist governments, and set up in advance so as to be falsely blamed against the Government that is to be invaded: the phrase that is commonly applied to such instances is “false-flag” events. This is what is done in order to have an ‘excuse’ for invading. Of course, the expulsion of diplomats is not an invasion, but it is commonly done in preparation for one. Usually, economic sanctions precede it; then come the expulsions; then, and perhaps months or even years later, the armed invasion. Each citizen in these countries will therefore have to make his or her own decision as regards whether or not that person’s Government is authentically a democracy, going to wars as democracies, or actually a dictatorship, which invades foreign countries on the basis of outright lies — deception of the invading country’s own public, essentially warring against its own public and not only against the invaded country. It has happened many times before; it could happen again. But this time, the targeted country would be Russia, not Iraq or another such weak nation. The implications of this could be staggering. For the very latest and thoroughly honest information on these developing events, information that’s as reliable as possible and that’s as devoid of speculation as possible, I recommend this article.